The treatment takes about one month from consultation up to the first surgery and another 2~3 months until the periodontal bones and implant are fixed firmly and the prosthesis is mounted. The period could be extended to 6~9 months depending on the condition of the jaw bones and mouth, chewing strength, and difference in the implant system. 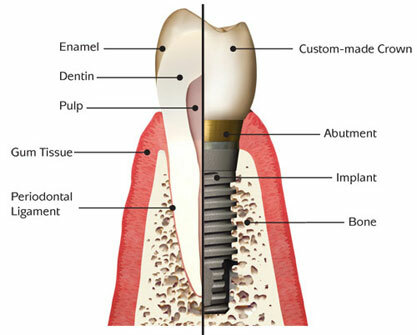 Nowadays, however, the development of a variety of implant methods and systems has shortened the treatment period. Aren't Implants Expensive Compared to Dentures? Although the initial cost is high, implants are semi-permanent; thus, they are actually cheaper because no additional cost is incurred. 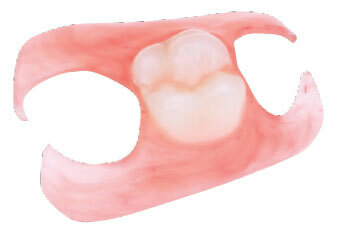 In contrast, although the initial cost of dentures is lower than that of implant, additional cost is incurred later. 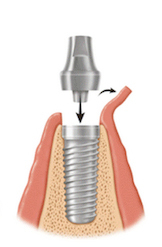 Can Older Patients Undergo Implant Surgery? Yes. Patients are advised to undergo implant surgery while they are still young because of the better bone condition, the bone volume, and the width and depth of bone where the implant will be placed. If a test proves that surgery is possible, then elderly patients can undergo the surgery. 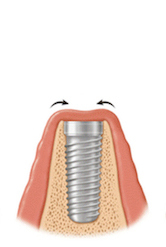 Do Implants Contain Harmful Heavy Metal? No. 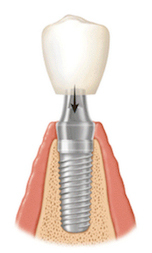 Implant is made of titanium, forming TO2 on the surface in air, water, and other electrolyte by itself. 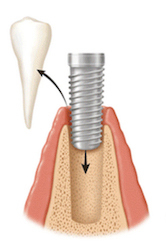 Boasting of excellent bio-compatibility, implants are not harmful to the human body. What Are the Post-Surgery Effects, If Any? After the surgery, your face or gums feel stiff and sore. Swelling may also cause the jaw or lips to be numb for several days. Still, there’s no need for you to worry; these symptoms will subside over time. If symptoms persist, however, see a doctor immediately. Not painful at all, since local anesthesia will be administered before surgery. After the surgery, however, you may experience some pain once the effect of the anesthesia wears off. Generally aspirin is all that is needed to relieve the pain.